Environmental studies is an interdisciplinary academic field which studies human interaction with the environment for solving complex problems. It is a field of study that examines the natural and built environment via anthropology, sociology, psychology, history, policy, ethics and geospatial perspectives. A seminar course that addresses the social, political, and cultural aspects of human ecological problems. As an introduction to the field of Environmental Studies, it examines both past and current human activities and their influence on our species and the physical environment, and it explores the place of cultural elements in creating and solving environmental problems. A study of communication styles, strategies, and campaigns of participants in environmental policy debates (government, industry, environmentalists, scientists, the media, private citizens and anti-environmentalists). Students consider the various types of communication, the ways in which they shape and are shaped by different approaches to the environment and their interaction in a number of case studies. Students also reflect on their own environmental positions and arguments. The course examines the history, theory and practice of community organizing with an emphasis on sustainability. Topics will include environmental problems and the struggles, social processes and responses of societies and community organizations. The course will develop a critical understanding of the reciprocal relationship between humans and the natural environment. In exploring the ways in which humans influence the environment and the ways the environment sets the parameters of human society, the course applies a sociological framework to evaluate the interactions between social factors (class, race, gender, religion) and environmental factors (air and water quality, biodiversity, deforestation, ozone depletion) and discussions of current issues, including the U.S. environmental movement, ecotourism, waste management, energy policies, and "NIMBYism." This course explores the evolving historical relationship between humans and the global environment from pre-historical times to the present. The focus of the course is on political, economic, and cultural themes at different historical epochs, and includes the examination of such issues as the rise and fall of civilizations, colonialism, industrialization, and the changing perception and understanding of the environment around the world at different times. This class is cross-listed with HIST 3060. This course examines the ways in which institutions and other people influence our thoughts, attitudes, and ultimately our behavior in regard to the environment. Topics examined include things such as: research methods, knowing, conformity, compliance, obedience, social facilitation, social loafing, attitude formation, attitude change, persuasion, bargaining, and group decision-making processes. The course explores the role of the environment in pre-historic/historic Native-American cultures and how it impacted the relationship between Native-Americans and Europeans. The course broadly examines Native-American history from the colonial age through the current era, focusing on academic areas which intersect environmental themes. This course is cross-listed with HIST 3157. This course explores the relationships among people, health, and the environment from a systems perspective. It examines topics such as: healthcare decision-making, behavioral responses to pathogens, healthcare systems, and the built environment's effects upon improving or worsening health. The course will exam health concerns from the perspectives of international, national, state, and local involvement. This class may be cross-listed with GEOG 3070. The course reviews theories, concepts and categories used by sociologists to explain social change with emphasis on institutional change, social movements, and nonviolence. The course is commonly conducted with a Service Learning component. Cross-listed with SOCI 3230. A comprehensive exploration of the sociological relationships between technology, economic policies, natural resources, population growth, and environmental degradation. Emphasis is on understanding these problems from an ecological perspective and the seriousness of these issues for future survival. An in-depth examination of the interdisciplinary field of Environmental Studies to include: conflict and contradictions, societal responses to environmental problems including social adjustments to natural and technological hazards, socio-cultural aspects of technological risk, and emergence of environmental social policies and movements are explored via case studies and interviews with local experts. This class may have a substantial service learning component of at least 30 hours in the field. Cross-listed with SOCI 3420. This course introduces students to milestone environmental laws and policy, their formation, and application, as well as the social, economic, and political factors that facilitate and sometimes impede them. 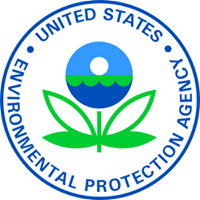 Specifically, the course will cover laws and policies that regulate air pollution, water rights and quality, endangered species, and toxic substances, both in the United States and internationally, their formulation and application processes, and how they affect and are affected by society in real life situations. A directed studies course which primarily involves practical application in some area of work related to the environment utilizing GIS. The instructor supervising the directed study will be associated with the area of application in which the student chooses to do his/her practicum, such as public policy, community relations, business, etc. The student is also introduced to possible positions available in his/her particular area of interest. This course is designed to present students with the foundational and central issues of environmental ethics. The course examines a variety of approaches including, but not necessarily limited to individualistic approaches, holistic approaches, deep ecology, ecofeminism and political ecology. This course is cross-listed with PHIL 4220.